Hop aboard our catamaran for either a 1.5 hour Weekend Cruise or a 2 hour Weekday cruise to see Sydney Harbour transformed into a winter wonderland! Not only are prime views of the VIVID light show part of your experience, but 2 welcome drinks including sparkling, beer, wine or soft drink is yours as you step aboard. Prepare yourself for a divine feed as well, because a buffet dinner including: BBQ Roast Chicken, Delicious Garlic Roasted Potatoes, Tomato ands Basil Penne (Vegetarian), Green Vegetables and French Baguettes. Complete your dining experience with a Chocolate Mousse or a slice of Cake. An amazing light show, refreshments, sights and sounds; it's all yours with this Vivid cruise event that’s got to be on your calendar of things to do in 2018. 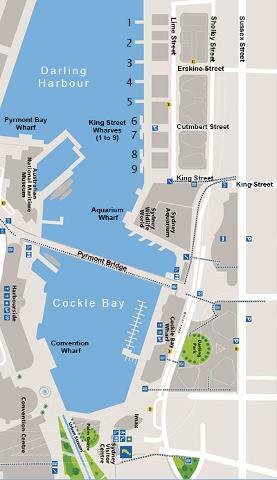 Boarding Sydney’s Supercat cruise boat on weekends at 5:45pm, 7:30pm or 9:15pm or on weekdays at 5:30pm or 8:00pm on a selected date between 25 th May and 16th June 2018, you'll depart via King Street Wharf, Darling Harbour, setting sail on a spectacular Harbour cruise that'll allow you to take in the best sights our fabulous Sydney Harbour has to offer during the Vivid Light Festival. If you’re after comfort and an uninterrupted view then look no further. 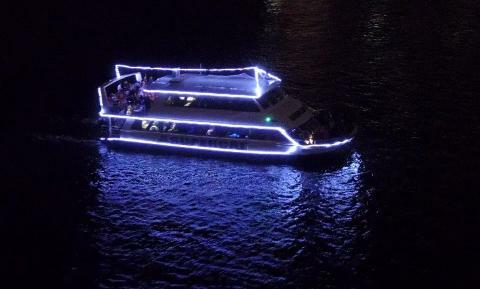 Our vessel has been licenced to carry 300 passengers, but we are limiting numbers and are assured a fantastic view of all that the Vivid light festival can offer from the water in a relaxed and enjoyable atmosphere.Plus, all children under 2 years cruise for free, they will also receive a Cool Vivid Glow Stick*.